Chengawa Tsultrim Bar (Tib. སྤྱན་སྔ་ཚུལ་ཁྲིམས་འབར་, Wyl. spyan snga tshul khrims 'bar) (1033/8-1103) — one of the Three Brothers, the main disciples of Dromtönpa Gyalwé Jungné. 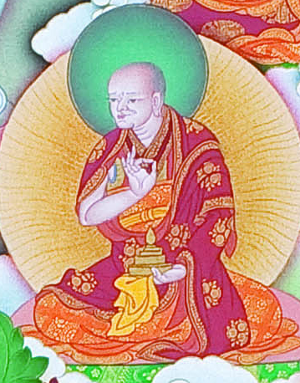 He was the main holder of Dromtönpa's lineage of teachings on emptiness, practice advice (Wyl. gdams ngag) and tantra. This page was last edited on 18 January 2018, at 07:17.